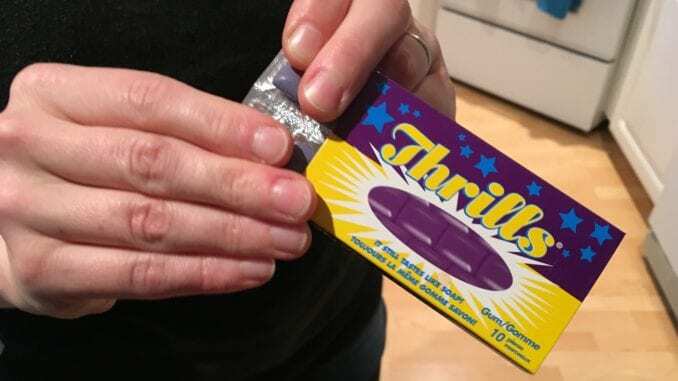 Local grandma Mrs. Agnes Wiebe, 72, unleashed the harshest punishment known to Mennonites this week by making her misbehaving grandkids chew a piece of soap-flavoured Thrills gum for a full fifteen minutes. Little Eric and Samantha screamed in horror when they saw the purple gum, having been made familiar with the substance once when their mother Ruth ran out of patience. Despite her best efforts, however, this time Mrs. Wiebe’s plan backfired. Studies confirm that every Mennonite person over 50 absolutely loves the stuff, while everyone under 50 finds it disgusting.